An internet phenomenon or a meme is an image, video, phrase or simply an idea that spreads from one person to another seemingly for no logical reason at all. When people see a meme, no matter how silly it usually is, they find it amusing for one reason or other and forward it to their friends; soon millions of people know about it thanks to how fast the information can spread online and the viral effect. You can see the list of the best internet memes of all time below! An explosively popular phenomenon, lolcats are a photos of cats with a funny caption in lolspeak (also known as kitty pidgin). 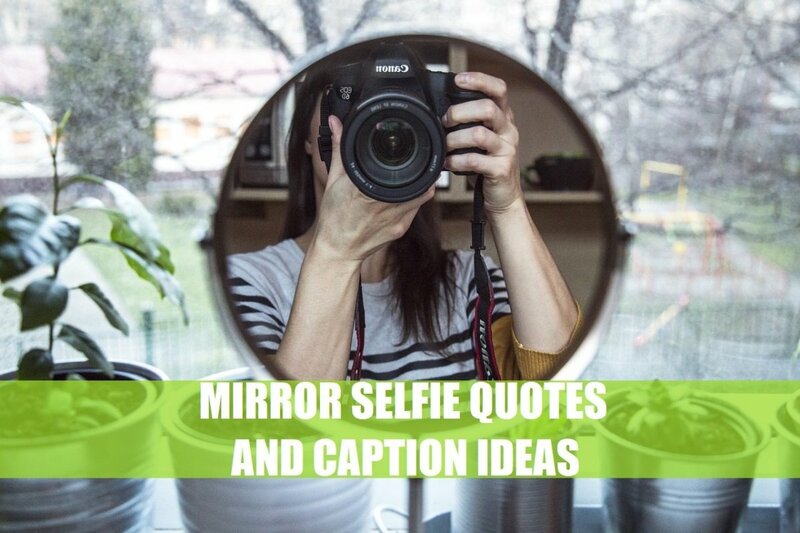 These captions might look completely random, but they actually have some popular sentence structures and may even contain other memes. It's believed this phenomenon originated from 4chan imageboards. 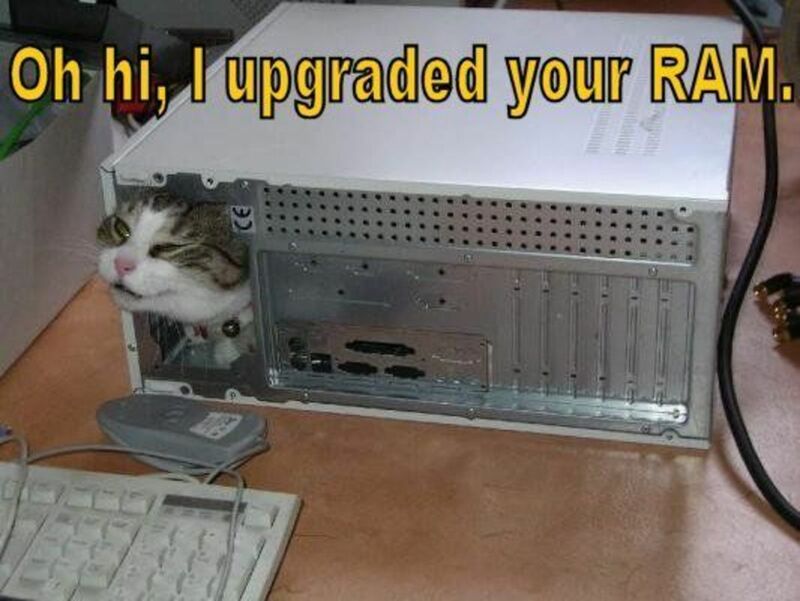 You can often find lolcat pictures on forums which don't frown upon posting lolcat images as responses to the topic. Often start your sentences with 'oh hai' and end them with 'kthxbye'. Lolcats go OM NOM NOM NOM when they eat foodz. White cats are usually Ceiling Cats. They are the Gods of the lolcat world. Correspondingly, black cats are Basement Cats and they are the loldevils. Have fun messing with the spelling, as long as the word is still pronounced similarly (action becomes akshun, etc). In your noun, verbing your noun (In ur fridge, eating ur foodz) - which is really a spinoff from another meme, "in your base, killing your dudes". Adjective noun is adjective (Long cat is long). OH HAI. I verbed ur noun (OH HAI. I eated ur cakez). Use left dislocation: Skillz. I has dem. Use singular verbs: I has a bunny. 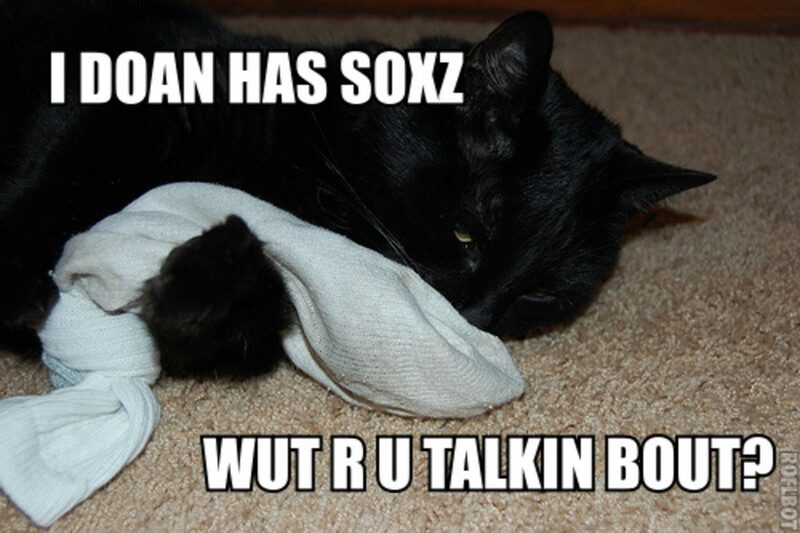 Use white Arial Black font with a black outline for lolcat captions. A LOLcat Colleckshun - a book with the best lolcat pictures ever. Great gift! 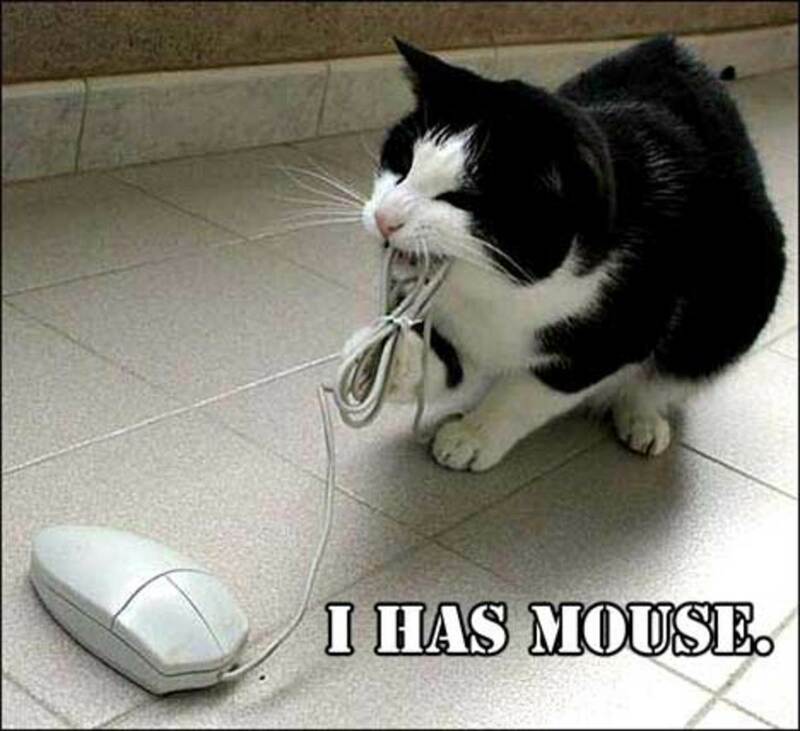 ICanHasCheezburger.com - the home of lolcats with a gallery and a lolcat maker. LOLCode.org - a programming language based on lolcat grammar. Rickrolling is one of the most widespread internet memes. It involves tricking people into clicking a link to a music video for the 1987 Rick Astley song "Never Gonna Give You Up". The URL is often masked using services like TinyURL.com and said to be relevant to the topic at hand. If a person falls for the trick, then he is officially rickrolled! Rickrolling has become so popular that it has spread even outside the internet. On April 4, 2008, many blogs asked their readers to vote "Never Gonna Give You Up" for the 8th inning sing-along at Shea Stadium for the New York Mets season. The Mets posted a web poll to select a song, and left a blank field for write-ins. To the great surprise of the organizers, Rick Astley's song was the winner with more than five million votes. It was played during the home opener and greeted with a shower of boos from a crowd of 55,000 people. Similarly in November 2008, Rick Astley was nominated for Best Act Ever at the MTV Europe Music Awards after the online nomination form was flooded with votes. However, during the actual show the Best Act category was treated like a joke, with Perez Hilton announcing that "MTV had been rickroll'd" instead of actually awarding Astley. Messenger: Choose your next words carefully, Leonidas. They may be your last as king. King Leonidas: [to himself] "Earth and water"? Messenger: Madman! You're a madman! King Leonidas: Earth and water? You'll find plenty of both down there. Messenger: No man, Persian or Greek, no man threatens a messenger! King Leonidas: You bring the crowns and heads of conquered kings to my city steps. You insult my queen. You threaten my people with slavery and death! Oh, I've chosen my words carefully, Persian. Perhaps you should have done the same! King Leonidas: Madness...? [shouting] This is Sparta! The meme has been modified many times; you must have seen people posting things like THIS. IS. INTERNETS! and such. Basically anything can be (and has been) used to replace the last part of the line. This web fad has also inspired a number of silly images and videos. 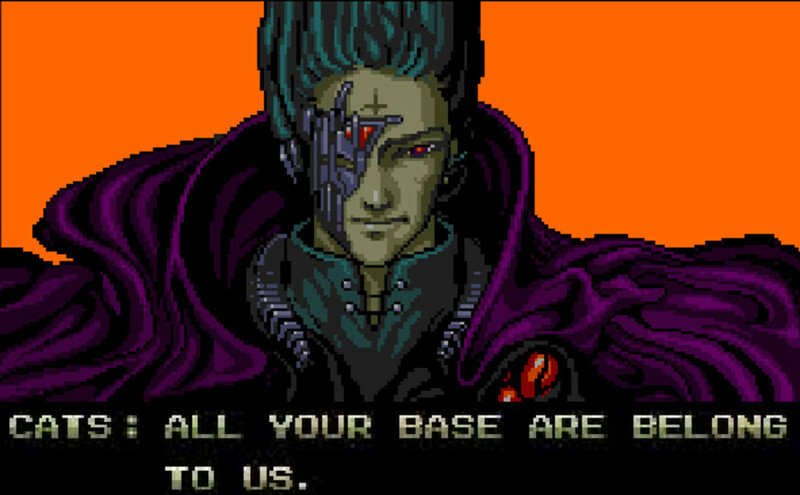 All Your Base Are Belong To Us (also known as "All Your Base", "AYBABTU", or just "AYB") is an Engrish (broken English) phrase originating from the opening cut scene of the European Sega Mega Drive version of Zero Wing, a rather poorly translated Japanese video game by Toaplan. AYBABTU became so popular not because of the game itself (indeed, most people spreading the meme never actually played Zero Wing), but because of various message boards (starting with SomethingAwful.com) and fan-made flash clips. The meme survived to this day thanks to occasional appearances in media, video games, T-shirts and webcomics. Some of these references are listed below. On April 1, 2003 seven people placed signs all over Sturgis, Michigan that read, "All your base are belong to us. You have no chance to survive make your time." While it was only an April Fool's joke, the police chief Eugene Alli said the signs could be "a borderline terrorist threat depending on what someone interprets it to mean." In February 2004, North Carolina State University students made the phrase appear in a news ticker on a live broadcast if News 14 Carolina channel. On June 1, 2006, YouTube was taken down temporarily for maintenance. The phrase "ALL YOUR VIDEO ARE BELONG TO US" appeared as a placeholder while the site was down. Some users really believed the site had been hacked, so YouTube later added a message: "No, we haven't been hacked. Get a sense of humor." During the MSNBC show "Countdown" on September 22, 2008, Nobel Prize laureate Paul Krugman said that the proposal presented to the US Congress concerning the federal bailout of failed financial institutions was the equivalent of US Treasury Secretary Henry Paulson saying, "All your decisions are belong to me." Several other phrases from the dialogue above (such as "for great justice" or "main screen turn on") have also been widely used in various instances of geek humor. Oolong (named after a certain variety of tea) was a domestic rabbit owned by a Japanese photographer Hironori Akutagawa. The rabbit was famous for the ability to balance various objects on his head (the owner called this trick "head performance"). 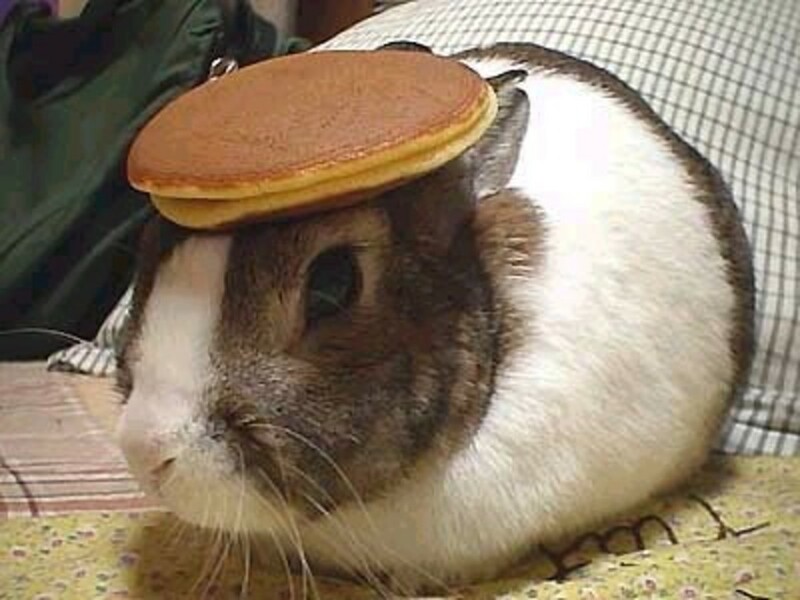 Oolong achieved the status of an internet meme with a single photo where he balances a pancake on his head (see above). The picture was made into an image macro - much like with lolcats - and frequently posted on various online forums. The caption said: "I have no idea what you're talking about, so here's a bunny with a pancake on its head." You can view the entire gallery of photos of a rabbit with various objects on his head on the owner's website. While it is in Japanese, it has received thousands of visitors from around the world and created a surprising number of Oolong fans. Sadly, Oolong passed away on January 7th, 2003. His owner now has a new rabbit named Yuebing, which is a female of gray Netherlands dwarf variety. Akutagawa has been training her in the arts of "head performances" as well. O RLY? (an abbreviation of "Oh, really?") is yet another internet phenomenon in a form of image macro (although just the phrase without the picture is often used as well). It dates back to at least year 2003 when it was used on the Something Awful forums. The photo of the snowy owl in the original image was taken by nature photographer John White, who posted it to the newsgroup alt.binaries.pictures.animals back in 2001. The phrase is often used in online forums to respond to posts in a sarcastic or mocking way. It is one of the internet memes that you are most likely to see on internet chatrooms. In the Game Boy Advance game "Mega Man Battle Network 6", if the player tries the Humor program at Cyber Academy, Lan responds to a certain joke with "O Rly?" and MegaMan.EXE replies with "Ya Rly!". Also there is a "No Wai!" joke at the Expo Site. In the Xbox 360 version of the football game Blitz: The League, one of the hidden gamer achievements is called "O RLY?". It is earned by losing a Campaign Mode game by more than 24 points. Unsurprisingly, the image of this achievement is a snowy owl. The promotional video announcing the American license of The Melancholy of Haruhi Suzumiya anime features a short segment using pictures with the caption "O RLY?" in both English and Japanese. It starts with Yuki Nagato making a statement in Japanese, with an "O RLY?" image displayed, and with her replying, in Japanese, "Really." At the end of the segment, another picture saying "NO WAI!" is displayed. In the MMORPG Everquest 2, Orly and Yarly are two Hooluk (owl-like race) NPCs that stand above the portal on Whisperwind Isle in The Barren Sky. The TV show "Totally Viral" featured the O Rly Owl in its opening titles. Leeroy Jenkins is a character in the wildly popular machinima video "A Rough Go" which is taken during a World of Warcraft guild raid. In the video, the guild (called "PALS FOR LIFE") is making detailed plans on how to beat the Rookery room in the Upper Blackrock Spire (instanced dungeon that takes a lot of players to beat) while one of them - Leeroy - is away from his computer. All the raid is wiped spectacularly when he returns to his PC and just charges into the room without any preparation while shouting "Leeroy Jenkins!" into the microphone. The real name of the player who created Leeroy is Ben Schultz. After Leeroy became a celebrity in the World of Warcraft, poor guy couldn't even play the game properly on his character because people kept sending him in-game messages 24/7. The internet meme since then had spread from gaming to online and mainstream media. Blizzard added a "Jenkins" title to WoW players who could kill 50 of the famous dragon whelps from the movie within 15 seconds, with the achievement "Leeeeeeeeeeeeeroy!" being attained for the same accomplishment. In Bioware's RPG/Shooter video game Mass Effect, there is a character named Jenkins who at the very beginning charges in to attack the enemies and promptly dies. Leeroy Jenkins was mentioned as part of a clue on the November 16, 2005 episode of the TV show Jeopardy! as part of their college week tournament. There is a Leeroy Jenkins card in the World of Warcraft Trading Card Game. #8. 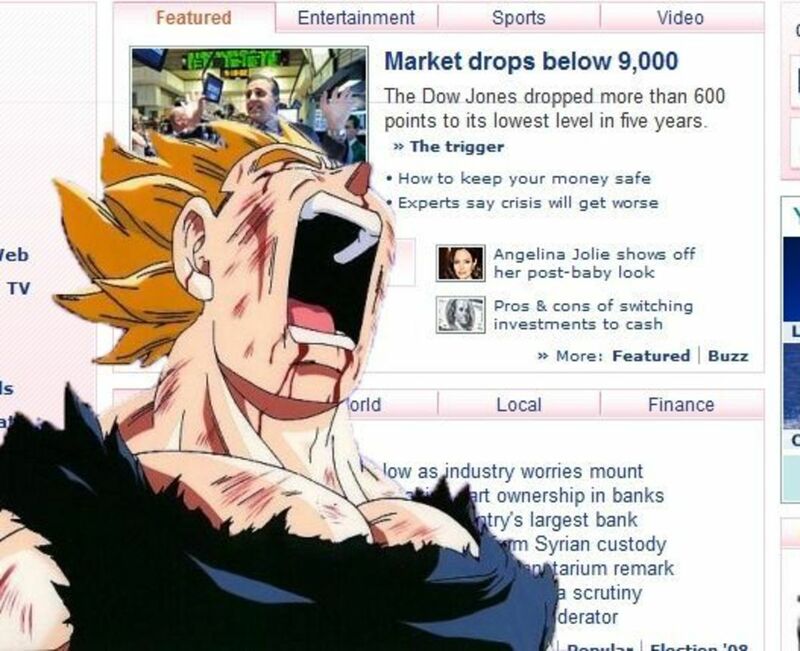 It's Over Nine Thousand! IT'S OVER NINE THOUSAND! 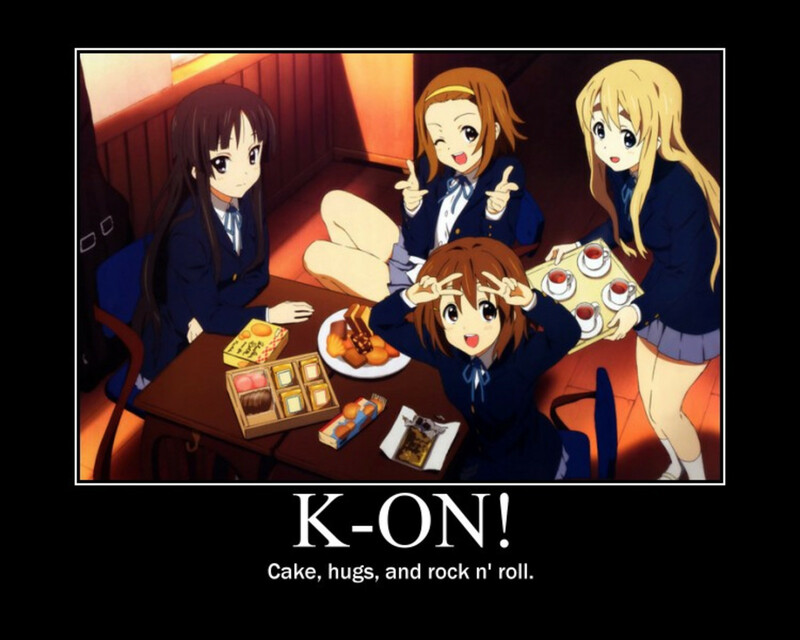 is one of the most popular anime memes. It originates from the English dub of the Dragon Ball Z (DBZ) anime which is famous for it's painfully long, over-the-top fights with a lot of "powerups" and screaming. People often use this meme when numbers or levels of some sort are involved. Nappa: "VEGETA! 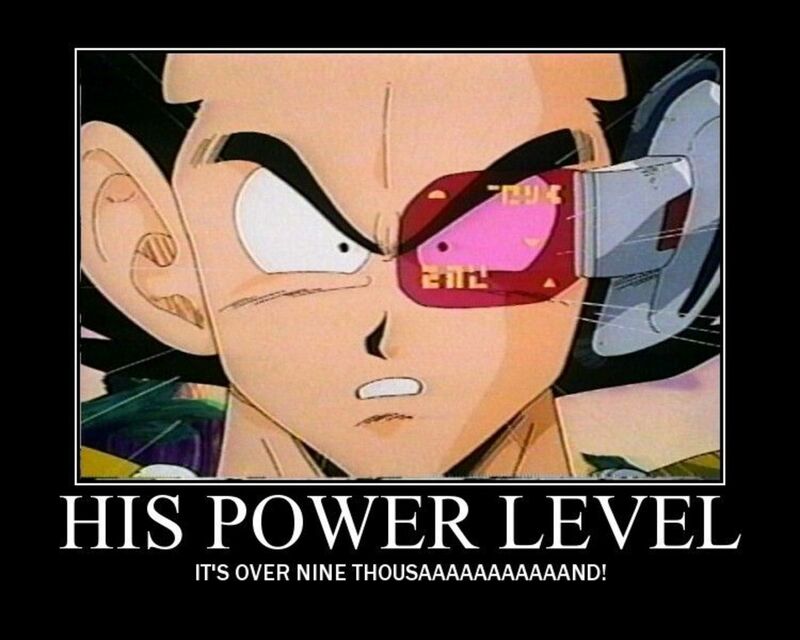 What does the scouter say about his power level?" While fail is normally used as a verb, on the internet it has become a noun meaning a spectacular failure of some sort - basically the opposite of success, or win. It can also signify disapproval of something (such as "this movie fails", an example given by UrbanDictionary). The word "epic" is often added for a bigger effect. When the fail is so big it boggles the mind, it becomes epic; in other words, it is a failure of epic proportions. While you could say that Epic Fail is more like internet slang than a meme, it has spawned thousands of image macros and videos. Fail BLOG, a website dedicated to sharing fail photos and other images, is probably the most popular source. Visit it if you feel like laughing at someone else's expense. There are lots of other smaller sites hosting fail pictures as well. Loituma Girl, also known as "Leekspin" is a combination of a 4-frame animation loop taken from a Japanese anime Bleach and a gibberish part (all the words are made up) of a traditional Finnish folk song "Ievan Polkka" (sometimes misspelled Levan Polka) sung by the Finnish quartet Loituma. The song is taken from the band's debut album Things of Beauty (1995). The animation comes from the second episode of Bleach, and features Inoue Orihime twirling a spring onion in her hand. In the anime, jokes are often made about Orihime since she likes to cook weird and often inedible stuff. In early 2009 Weetabix Limited - a UK food company - used the song in an advert for their "ready brek" cereal. In April 2007 Eneco - a Dutch power company - used the song of Loituma Girl in its TV commercial for "ecostroom" (green energy). In May 2007, Wrigley's used this song in an ad on German TV for their "Extra" gum. The Dutch company Artiq Mobile launched a website where people could upload home-made Loituma girl spoof videos and compete for a prize of 500 euros. Patrick Macias from BBC radio said the following: "This is basically a joke for someone who spends all of their time staring at a computer, made by people who spend all of their time staring at a computer. It's possible to read deeper meanings into it, but it sort of defeats the purpose because in the end it's just this hypnotic clip of animation. One of the promotional videos for Yamaha's voice synthesizer and singer program Vocaloid featured Hatsune Miku (an anime-style mascot character for the software) waving a green onion and performing the Ievan Polkka using Vocaloid's digital singing synthesis. This "Leek Girl" video has received over 3 million views. Click here to watch it. Meme is pronounced /ˈmiːm/ (rhymes with cream). The term was coined by Richard Dawkins. Simply put, it is a self-replicating idea that takes root in your mind and transmits to other people. 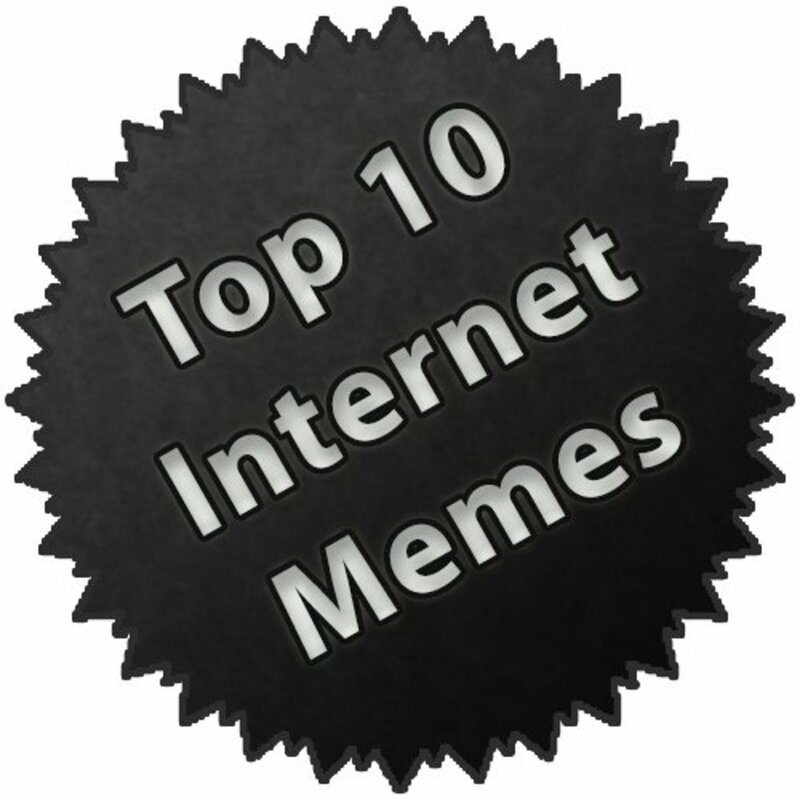 Know Your Meme is the largest internet meme database complete with pictures, videos, and detailed explanations of each web fad. 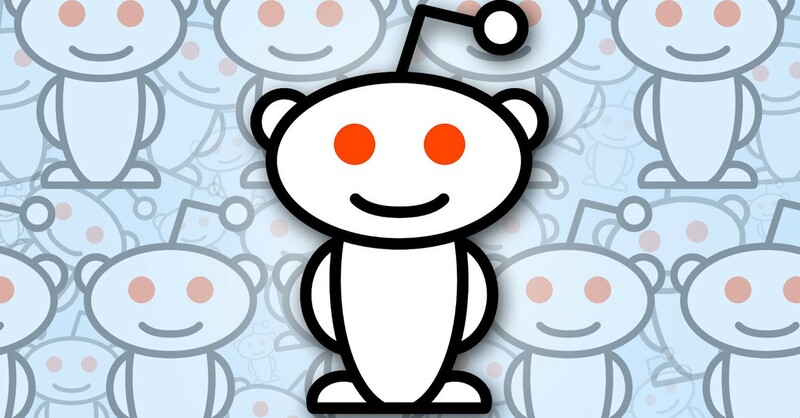 Users can submit new content and discuss existing memes. Wikipedia has a detailed and explanatory article listing many different internet phenomena. @anonymous: I HATE YOU THAT IS LORD OF THE RINGS "ONE DOES NOT SIMPLY WALK INTO MORDOR'' I AM SOOOO ANGRY YOU DISED GANDALF! where's the game of throne :"one does not simply.." meme? Rickroll is one of the most addictive videos on youtube. 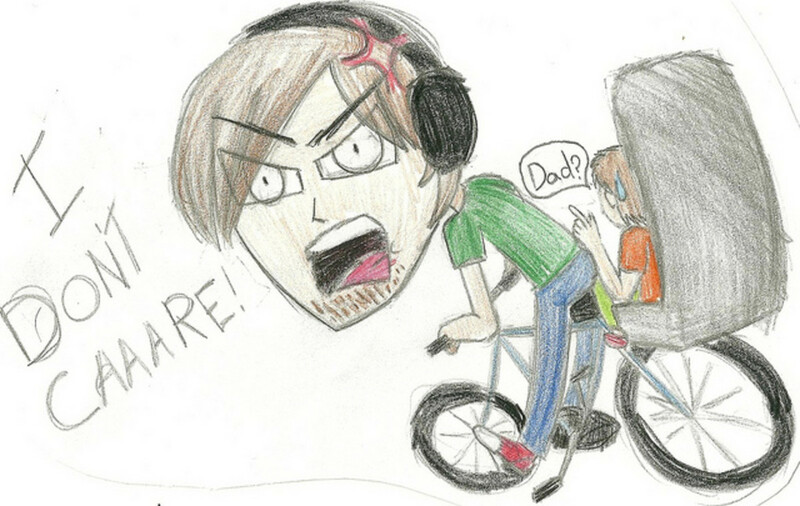 This is so funny!! LOLcats made me actually LOL. Meme to me is pretty much just a picture to get attention for no reason, make everyone laugh and smile! Learn something new everyday. Fascinating lens. Awesome lens! I like memes. I would agree with the rest. They are really super cool and funny! Why did you burn all my money? Anyone remember bub rub and lil sis? Probably time for this list to get an update, no? I love memes. They always make me laugh. I know much more about Memes after reading this informative article. Great effort. Keep updating it. Creative lens! I've seen most of these but I have not seen a couple. Great job. hi there..good lens you created. its really fun and attractive.!!! What about Good Guy Greg? oh hai! Very funny! Thanks for the compilation. kthxbye. Everything one should know about meme. Great job on this lens! Okay, a few things have become clearer now. Thanks for the info. Really nice lens... well prepared and informative... Thanks dear. The lens is really nice, attractive and informative... nice piece of work. Great lens and subject that could go on forever! Thanks! Now I understand what is meme! Funny. Until this point I was really unaware of what a meme is/was. I'm new here at squidoo. is fun and full of creativity like you. I think also "bedroom intruder" could be on this page. Should add the new Obama meme! LOL! Awesome stuff!! I didn't know what RickRolling was. LOL. Now I'm going to have that dang song stuck in my head all day! Great lens - love the now 'retro'ness of some of the memes. @ThisGirlWrites: Do you know Nakia van Valk? No, 8 should be 9001. Leeeeerooy Jenkins just about had me spit water all over my screen. I had heard about it while playing Final Fantasy but never went to actually watch the video! WOW that was hilarious! Great Lens, most memes are interesting. Mostly, internet memes are fun! I can't rank which is the best but really, they're amusing and interesting! Nice lens. Must appreciate your effort. Religion is the greatest meme of all. They need to teach this in school - memeology. Love your lens! Especially love that video of King Leonidas! Thank you friend. Well you just put a smile on my face with this lens. Some great memes. Had me in stitches! I am looking for some funny SEO pics cause i am a SEO service provider and i need some funny pics related to SEO, but the problem is i am not a graphic designer and i cant make anything by myself, i need something like memlol pics, if someone can help please write on my wall, anyhow very good lens. I like those funny pics. Funny lens!He..he..I just laughed till my stomach ached. EPIC FAIL! it never fails. hahaha. made my day! thanks for sharing! Great lens. Very funny. Oolong the Pankcake Rabbit is so cute. This isn't what a meme is. There's no cultural transmission, as the original definition states. The inventor of the idea of a meme has also said it's not just funny pictures. Very nice lens, most memes are very funny. Great lens. Thank you for sharing. Wow, congrats on getting so many likes! Awesome lens, I love memes and I like to design new ones every week! I've also released an ebook entirely about memes, two thumbs up for your lens! Fun lens! Washingon state legislature did a rickroll video--they actually worked the lines into their debate over a bill!